Dixon, Joseph K. (fl. 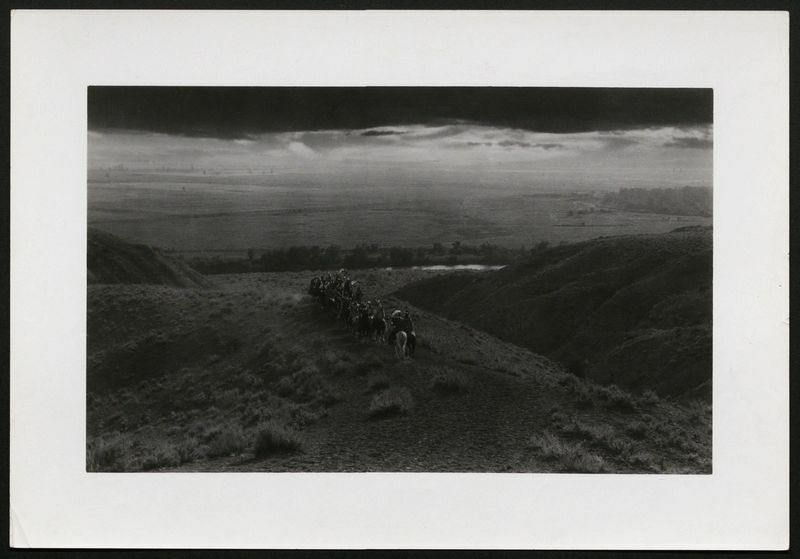 1908-1924) River valley with group of Native Americans on horseback moving away from the camera. Gilder Lehrman Collection #: GLC03911.08.07 Author/Creator: Dixon, Joseph K. (fl. 1908-1924) Place Written: s.l. Type: Photograph Date: [1908-1920] Pagination: 1 photograph : b&w ; 19 x 26.7 cm. Summary of Content: "The end of the trail, or The March [illegible], 3678, 2031" inscribed in pencil on verso.